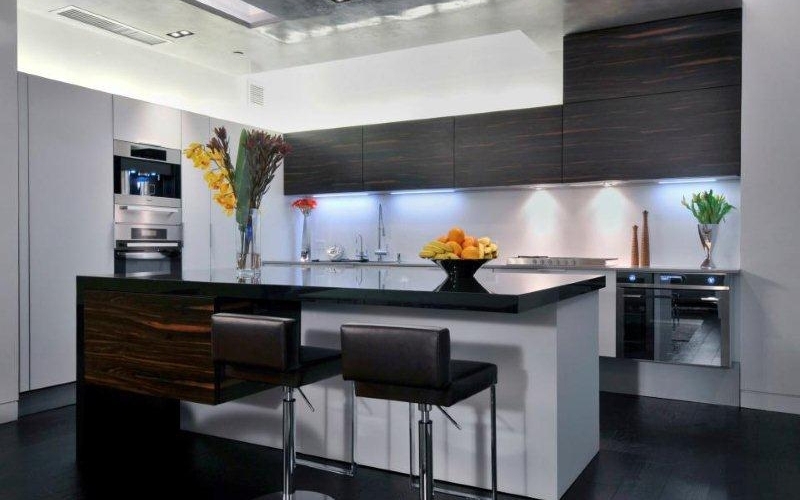 Showcase Kitchens designs and manufactures exclusive custom kitchens for homeowners, architects, interior designers, custom builders, and contractors. Primarily, we have worked in the greater New York Tri-state area, but we have also designed projects in Florida, California and the Caribbean for our clients’ second homes. We travel wherever our clients desire us to go. We also design and manufacture custom baths, built-in home libraries, media rooms and closets, as well as custom furniture. To get a clear understanding of a client’s specific design needs, our designers hold private consultative meetings, asking for their input. While other design firms start with generating computerized designs, our designers are artisans who use old-world craftsmanship to create initial, hand-drawn renderings before converting them to detailed engineered plans, using state-of-the-art, computer-assisted design programs. This distinct, two-stage process not only generates greater creativity and unique designs, but also enables clients to visualize what their project will look like upon completion. 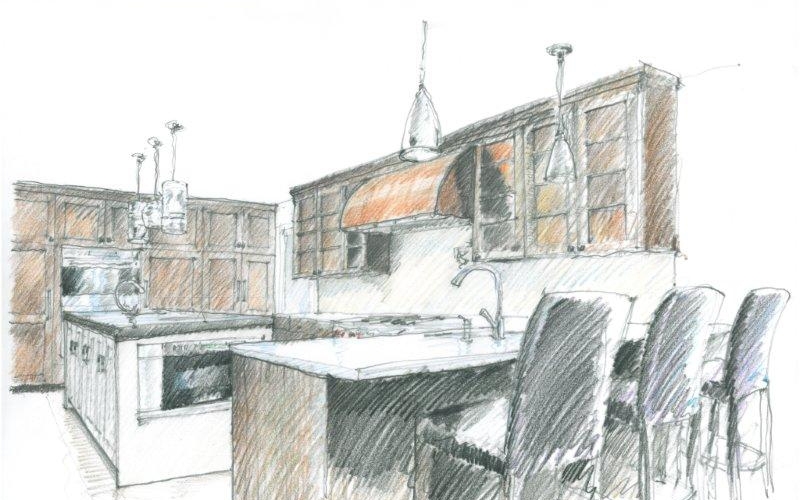 Showcase Kitchens employs a hands-on, “team” approach that assures that our entire design staff participates in each project with each member lending their expertise. This system keeps our design team innovative, keeps projects running smoothly and ensures that no detail goes unnoticed. Showcase Kitchens offers personal jobsite supervision and outstanding support services from preliminary concept design to installation and beyond. It depends on the scope of the project. Factors that can affect duration include plumbing, flooring, and electrical. One of the biggest factors is how quickly a homeowner is able to make decisions. As far as the production of the cabinetry, it depends on the cabinet line chosen. For example, our efficiently-made semi-custom lines can be produced in 6 to 8 weeks. 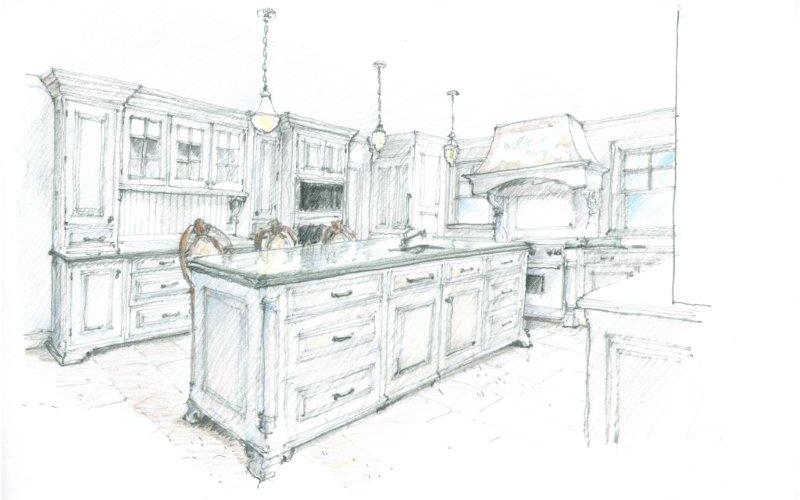 Whereas our custom, hand-carved cabinetry lines can take 10 to 12 weeks. Lead times are always subject to demand, so always check with our designers to confirm current production schedules. Primarily, we work in the greater New York Tri-state area, but we have also designed projects in Florida, California and the Caribbean for our clients’ second homes. We travel wherever our clients desire us to go! Price varies depending on various factors, including the product lines used, the linear footage of the space, and more. Make an appointment with one of our designers for a custom quote. In the 85 years we’ve been in business, we’ve designed many, many kitchens meeting Jewish food prep and storage requirements. We are familiar with which appliances have “Sabbath settings” and how to appropriately segment meat and dairy. In many cases we install side-by-side units, and we are adept in designing cabinets to satisfy these requirements. Would showcase kitchens work with an outside interior designer? Absolutely. We love partnering with all professional trades. When working with an interior designer, architect or contractor, we focus our input to the elements involved in implementing a professional, long-lasting kitchen. In general, our process is designed to make things as easy and smooth as possible for you. Our designers will ask you a number of questions, and we rely on your input and feedback to create a space that is tailored to your individual lifestyle and needs.